Einer der besten schottischen Songwriter und Fingerstyle-Gitarristen zeigt sein Können in Wuppertal. Simon Kempston präsentiert wunderschön gearbeitete, Folk angehauchte Songs und nimmt den Hörer mit auf eine einzigartige schottische Reise. Keiner den man verpassen sollte! 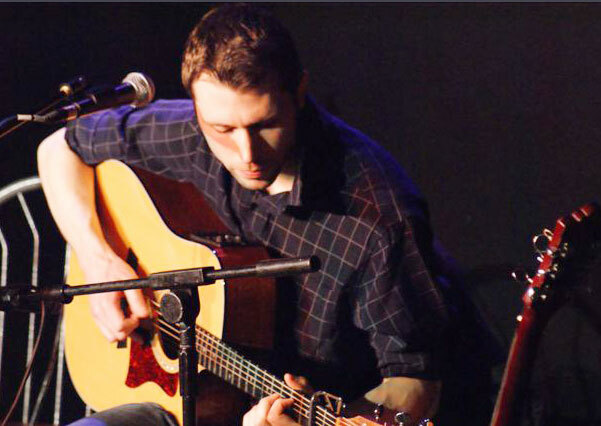 One of Scotland’s best young songwriters and leading fingerstyle guitarists. An award-winning songwriter and an inspiring, poetic lyricist, his distinctive guitar playing is steeped in the history of the folk, blues and celtic traditions and is complemented by a rich, powerful and compelling vocal. Having performed to critical acclaim in esteemed venues and festivals all over Europe, Simon’s recorded output has received rave reviews in the UK. An intense performer, and an incredibly talented musician Simon’s beautifully crafted folk-tinged songs transport the listener on a uniquely Scottish journey. Timeless melodies bearing lyrical ingenuity, this is not a show to be missed. 19.11.2016 – 20.30 Uhr • Eintritt frei!